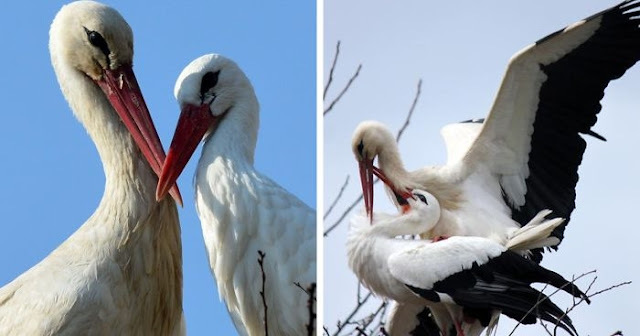 A stork has melted hearts in Croatia by flying to the same rooftop every year for 14 years - to be reunited with its crippled partner. The faithful bird, called Klepetan, has returned once again to the village of Slavonski Brod in east Croatia after a 5,000 mile migration. He spends his winters alone in South Africa because his disabled partner Malena cannot fly properly after being shot by a hunter in 1993. Malena had been found lying by the side the road by schoolteacher Stjepan Vokic, who fixed her wing and kept her in his home for years before helping her to build a nest on his roof. After placing her there, she was spotted by Klepetan 14 years ago. And now every year they are reunited in the spring. Klepetan keeps a very strict timetable, usually arriving back at the same time on the same day in March to be welcomed by locals. But this year he was running six days late, causing panic among local media and fans of the stork couple. Such is the popularity of the pair that there is even a live feed on the main square in the capital Zagreb showing the two storks. This year, Malena made a rare flight and the couple were reportedly inseparable for hours. She does have the ability to make very short flights but her wing has not healed well enough for her to make the trip to Africa, or even to properly feed herself. Every summer, the pair bring up chicks, with Klepetan leading their flying lessons in preparation for the trip south in summer. 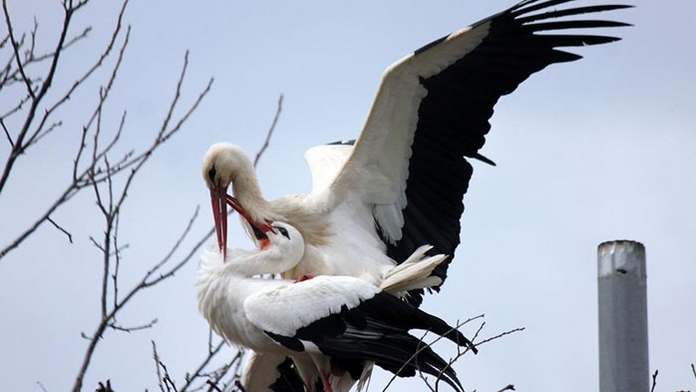 Responses to "Love-sick stork flies 5,000 miles every year to visit his injured soulmate"